Israel prepares for Sabbath attacks with a quiet radio channel and extra prayer. As rocket attacks continue and the IDF prepares for a possible ground operation in Gaza, Israeli families across the country are preparing for the Sabbath. Israel Radio will help with Sabbath safety by operating a quiet channel from the time the Sabbath begins on Friday evening. The channel, at frequency 531 AM, will broadcast no sound except emergency messages when necessary. 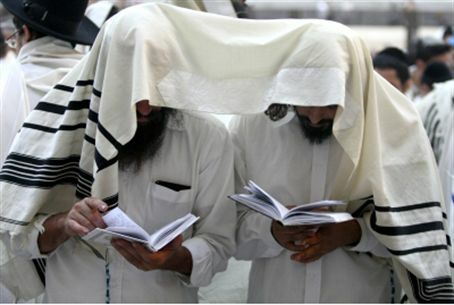 The station may be turned on before the Sabbath in order to continue receiving warnings during the holy day without engaging in activities prohibited on the Sabbath according to Jewish law. Israel is continuing with Operation Pillar of Defense, a counter-terror operation launched after Gaza terrorists fired dozens of rockets at southern Israel early this week with the backing of Hamas, which controls the region. The operation’s Hebrew name is Amud Anan, a reference to the pillar of smoke that G-d sent to protect the children of Israel in the desert during the days after the exodus from Egypt. Rabbi Ovadia Yosef has called on Jews to seek divine protection as well as taking safety measures. He declared Friday that worshipers should say Psalm 83 for the safety of Israeli civilians and soldiers after opening the Aron Kodesh, both on the Sabbath and during the week, for the duration of the military operation. In addition, he called to recite the Avinu Malkenu prayer, not said on the Sabbath, at the end of weekday morning services (Shacharit). The prayer beseeches G-d as “Our Father, our King” to show mercy and grant divine protection.